Looser’s work lovingly explores how Austen became a permanent fixture in classic English literature. 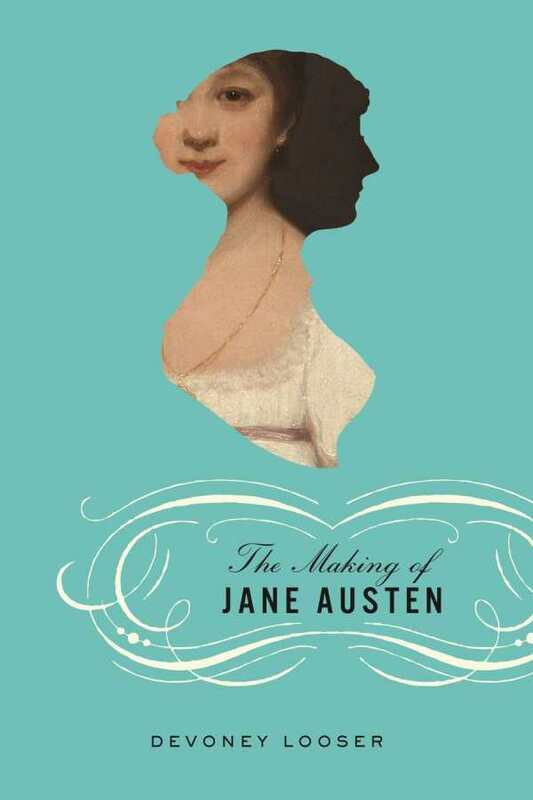 Devoney Looser’s fascinating The Making of Jane Austen excavates the trends, politics, and tastes that shaped Austen’s legacy. The thesis invites a consideration of how other media have the potential to expose larger audiences to literary texts. The translation of novels into films, plays, or illustrations should not be decried as watering down a writer’s work, it says; instead, it should be celebrated. Marrying academia and popular culture, Looser focuses not on Jane Austen herself, but on the circumstances and events that affected her place in the English canon. In particular, the work examines the evolution of Jane Austen illustrations, the rise of amateur theater and Hollywood productions, how Austen was taught in schools, and the political and social movements that enlisted her work for their causes. The depth and breadth of Looser’s research is evident throughout. Copious notes accompany the text, and suggestions for further Austen study are a welcome addition for both the uninitiated and veteran Janeite. Stories of the people who played roles in the perpetuation of Jane Austen as a crucial literary figure often rival the fictional characters contained in Austen’s works. Eva Le Gallienne and Josephine Hutchinson—leads in the 1932 play Dear Jane—were outed lesbian lovers. George Pellew, who wrote an early dissertation on Austen, supposedly spent a portion of his afterlife communicating with medium Leonora Piper. These biographies seem minor when compared to Austen’s, yet Looser insists on granting them immortality here. Political and social implications abound, and Austen’s impact on the early suffragette movement in Britain and the United States cannot be understated. Exploring such topics, Looser departs from conservative interpretations of Austen as both a literary figure and an individual. Her arguments are refreshing and balanced. The Making of Jane Austen lovingly unveils Austen’s posthumous journey to become a permanent fixture in classic English literature.